Velvet Wow This beauty consists of ripped pieces of red velvet cake, strawberry milk spheres, fruity pebble soil, Fruit By The Foot(candy) scrunchies and some maraschino cherries! Bet your local bakery doesn’t serve this! Corny Corn Dogs The corn dogs you get at a street shack are transformed better than a Transformer can. It is paired with cheese slices, honey ham rosettes, Spongebob Squarepants shaped noodles and mustard tears! 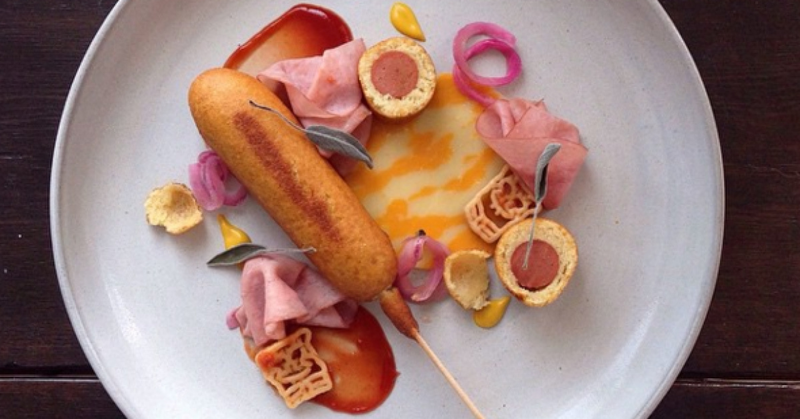 Who knew Spongebob and corn dogs could look so classy, right? Tart Art Watch a Pop Tart become the star of the show! 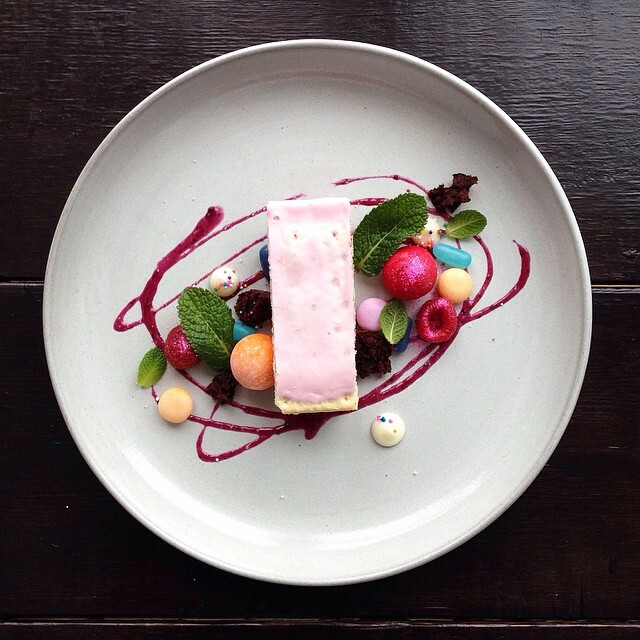 This raspberry Pop Tart parfait is surrounded by a vanilla SnackPack and grape crush scented gel. Enhanced with candies like Mike and Ikes, Cry Babies and Fruity Mentos, this is a candy lover’s dream! Orange You Glad To See Me? 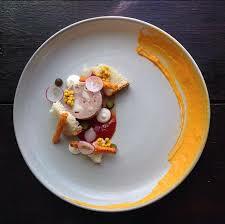 Get a feast of orange colour with this masterpiece. Bagel bites paired with Cheetos chips, baby carrot puree, small vegetables and chipotle oil. This is a snack designed to be eaten at sunset. Look how adorable those Cheetos look! Peanut Butter Bomb We found it, you guys, the coolest dessert! 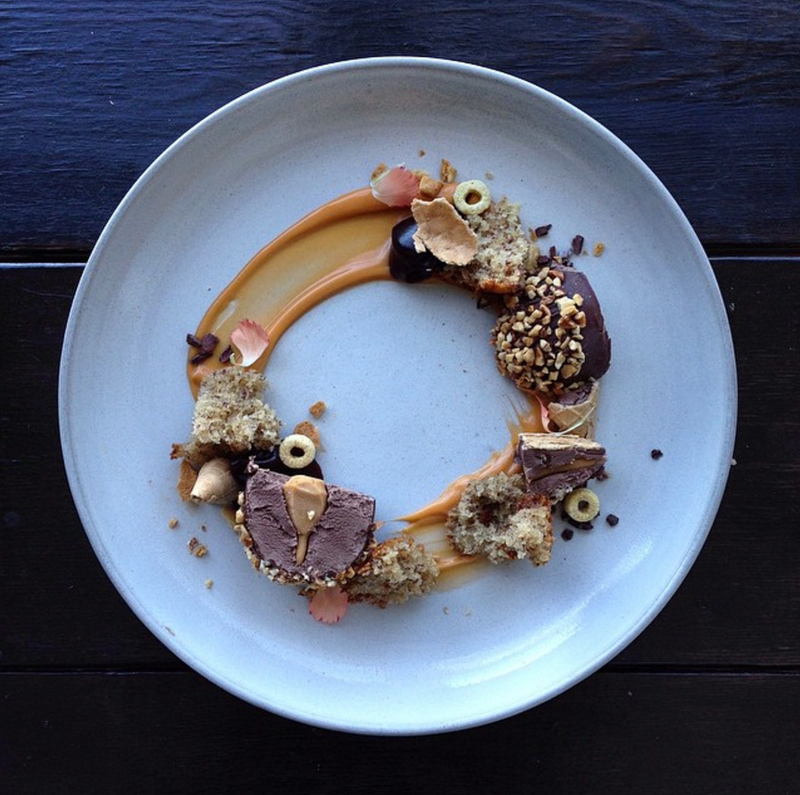 The perfect circle has arrived and it has peanut butter ice cream cones, banana muffins, chocolate toppings, butterscotch cream, yellow Fruit Loops and Honey Teddy Grams earth! She has combined all the snacks you’d find at a gas station shop! Say Cheese! Your lunchmeat has never looked this good. Here we have a macaroni studded bologna, hand-torn bread, yellow mustard caviar, pickled baby onions, ketchup, whipped cream, Doritoz chips and a whole lot of cheese! Hello-peno! You must have ordered jalapeno poppers at every other junk food chain. 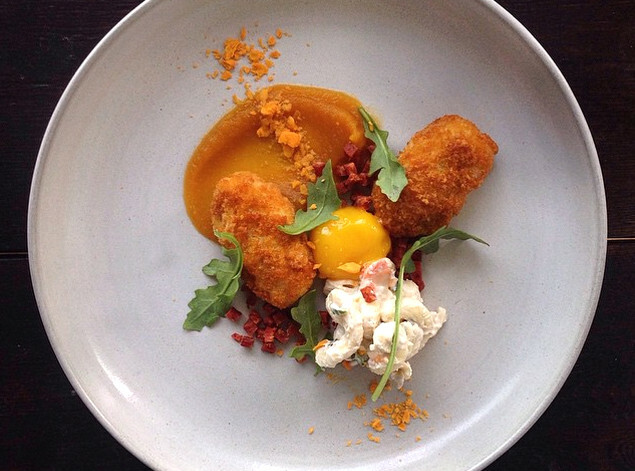 But what you havn’t seen, is them garnished with some pepperoni butter cream, macaroni salad, deep fried egg yolk and cracker gravel. This is what you call fine dining, folks! 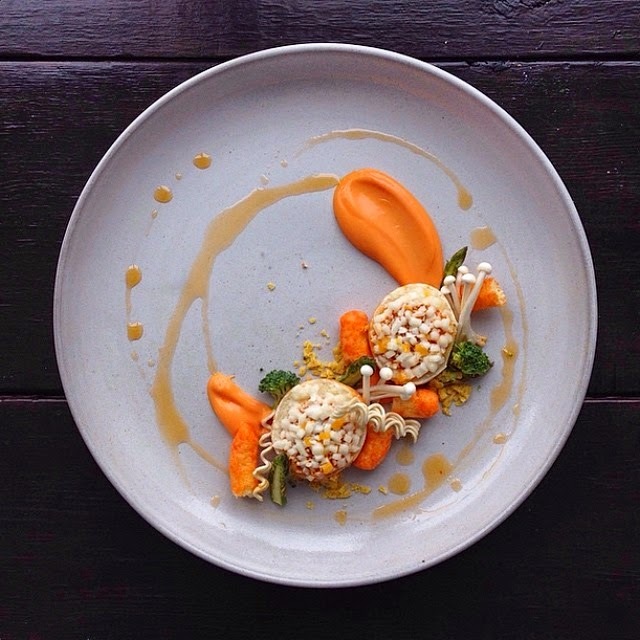 Wish your dessert dishes could look as professional? 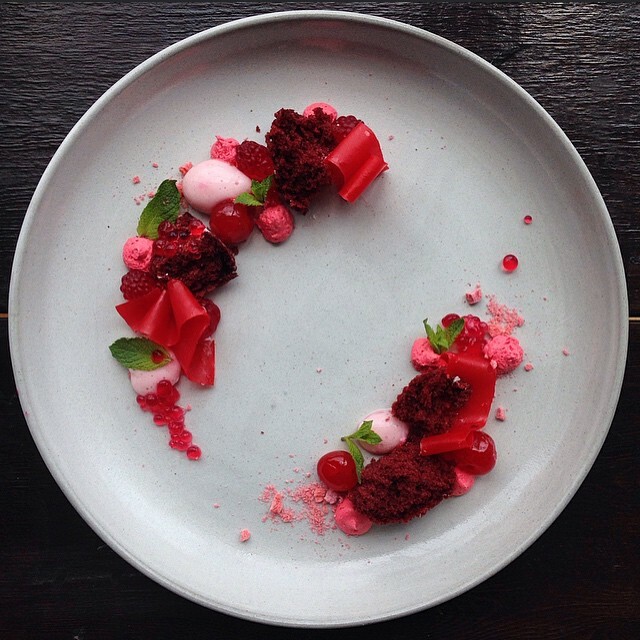 Read these tips on how to plate desserts.